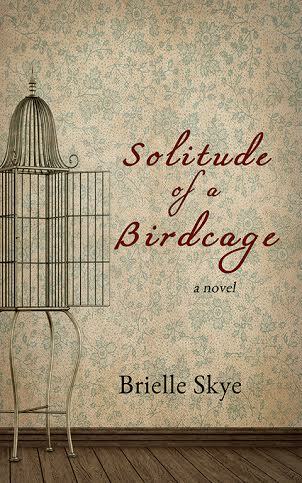 Today I am participating in the official cover reveal for Solitude of a Birdcage (dubbed forget me not) by Brielle Skye. If you have not heard of Brielle check out her website where your can find pre-released chapters of Solitude of a Birdcage (Forget me not) and get a little taster of what the novel is about. 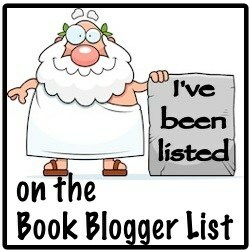 Or you can check out the books synopsis below. The book is due to be release October 15th 2014, you can find Brielle on her website www.lost20s.com or on Twitter @brielleskye. In the battle between duty and desire, there will be casualties. Maxie Shannon and Savannah Trimmel are more than best friends. They’re sisters, bound by a tragic past and an unbreakable bond. When Isaac, Savannah’s boyfriend, falls victim to an act of violence that leaves him with no recollection of the prior eighteen months, both women tend to his recovery. For Savannah, it’s simply an attempt to care for the man she loves. For Maxie, it’s a chance at redemption. She tells Isaac nothing of the passionate secrets they’d been keeping from Savannah, nor of the unyielding feelings that nearly consumed them both. But as the fragile wall obstructing Isaac’s memory begins to crack, hidden truths slip through the fissures, and Maxie will once again be faced with an impossible choice– her loyalty, or her heart. Lasting one week Brielle is offering US participants a giveaway widget code for more information on this drop me an email and I will send you the code, if you want any more information on Brielle Skye she is on Goodreads https://www.goodreads.com/brielleskye and Facebook www.facebook.com/brielleskyewriter. So hurry up and check out Solitude of Birdcage NOW! This entry was posted in Cover reveal and tagged adultnovel, book blogger, book bloggers, book giveaway, book review, book reviews, books, Brielle Sky, contemporary fiction, cover reveal, ebook, ebooks, fiction, forget me not, goodreads, solitude of a birdcage, young novelist on March 21, 2014 by Chloe. Having recently read Kate Mosse’s novel Labyrinth, I couldn’t wait to get a hold of a copy of the (2012) television adaptation starring Sebastian Stan, Vanessa Kirby and John Hurt. The novel and Channel 4 adaptation are based upon the lives of two woman, PHD graduate Dr. Alice Tanner and seventeen year old Alaïs Pelletier Du Mas. Alice come to France as a volunteer on a archaeology dig with her friend Sheila after finding out she is to inherit something from her Aunt who lived and died France. When Alice walks into a cave on the site of the dig her life is changed forever when, she finds a mysterious ring and begins to have visions of Alaïs who lived 800 years previously. The story is told from both Alice and Alaïs’s perceptive, Alaïs’s was a young married woman who had an older sister Oriane Congost who was having an affair with her husband, but to Oriane it had nothing to do with love or affection it was all about power and manipulation. Oriane soon found out that their father was not her’s biologically and her attitude soon changed toward her family. Alaïs’s father confesses that he is the keeper of one of three books that can locate the grail, not the Holy grail of Christian mythology but something far more special and secret. Mean while in the present day Alice’s visions are becoming more intense and, as her friend Sheila has gone missing she goes looking for her and stumbles across Will Franklyn and his dangerous older lover Marie Cecile. Marie Cecile is a member of a cult like organization desperate to find the ring and the books so, they can find the grail, ultimately prolonging her life something she desperately craves. Looking for the grail is all that Marie Cecile cares about and is not afraid to kill if it gets her what she wants, to her all men are her play things, the grail is all that matters. Alice met Will in the hope of finding Sheila but to no avail and although she is unsuccessful there is a clear attraction between the two, there relationship develops further when it becomes apparent Marie Cecile is not all that she seems and might know more than she is letting on about Sheila’s disappearance. When looking round her Aunt’s house Alice finds a letter from a mysterious man who seems too know something about her visions. The mysterious man played by John Hurt takes Alice back to where it all began, the caves. He explains how she and Alaïs are connected and what her visions of the past really mean. 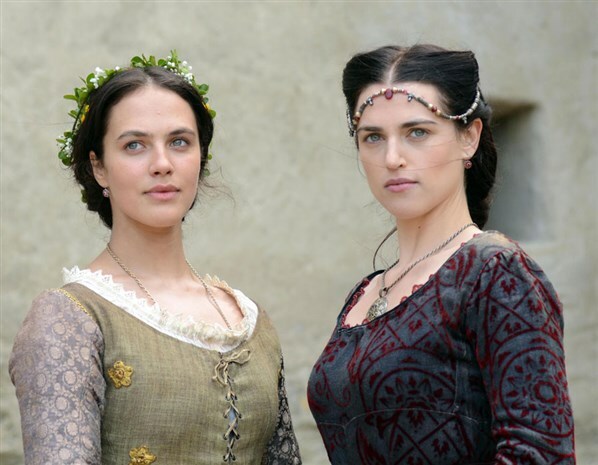 Labyrinth is a well thought out well executed drama that did well not to get tangled in it’s own complications, each of the two episodes where two hours long and were real treat that I would recommend watching. It was really enjoyable watching how the past and present intertwined together as well as learning about past histories of the Cather people and their ultimate down fall as well as what religion meant to people of that time compared with today. 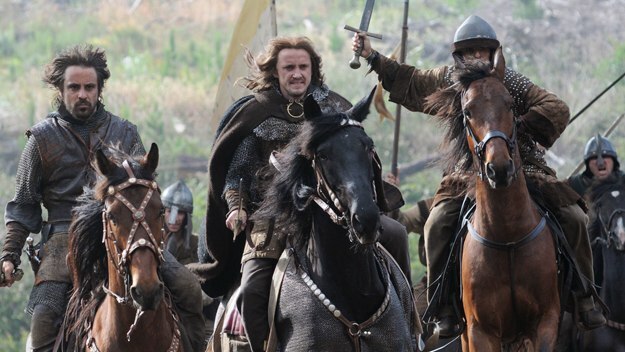 The cast was really excellent which included John Hurt (Merlin), Tom Felton (Harry Potter), Jessica Brown Findlay (Downton Abby) and Katie McGrath (Merlin) just to name a few. This story has twists and turns and in the end doesn’t go where you think it will, it kept me hooked for a grand total of four hours. It’s a great adaptation of a novel I really enjoyed, the woman are kickass and don’t wait for men to rescue them, the go out and save themselves. I have often heard this book compared this book compared to the Di Vinci Code in my opinion they are nothing alike because the story and characters fly off in completely different directions. Would recommend reading before watching. This entry was posted in Books and Television and tagged adaptations, adultnovel, Alice, book, book blog, book review, bookblog, carcasonne, Cathar, Cathar people, downton abbey, france, labyrinth, labyrinth Kate Mosse, review, Sebastian stan, television review, the Di vinci Code, trilogy on February 26, 2014 by Chloe. In the Woods veered away from some of these stereotypes although the Detective Rob Ryan was emotionally scarred (and was obviously a man) He had good reason for his emotional dilapidation and it was the under current for most of this debut novels plot. I would say more but… SPOILERS! When Rob Ryan (previously Adam Ryan) was a twelve year old boy his two best friends disappeared in the woods near their homes in Dublin never to be seen again. He was found, his shoes filled with blood and his nails clinging to a tree in the woods with no memory of what had happened to his friends. Now a detective he is called back to the small town where it all happened where a young child has turned up dead at a archaeological dig. Rob is terrified that the past will come back to haunt him and force him to go and look back to a past that he had done his best to leave behind him. In the Woods is a great novel especially considering it’s a debut, it is a deep and carefully considered book about friendship and about those that we must leave behind even when we wish we didn’t have too. What made this novel for me was the friendship between Rob and his police partner Cassie a believable platonic friendship with tragedy in its wake. This is the first in a series but can be read just as well as a stand alone the next book is called The Likeness. 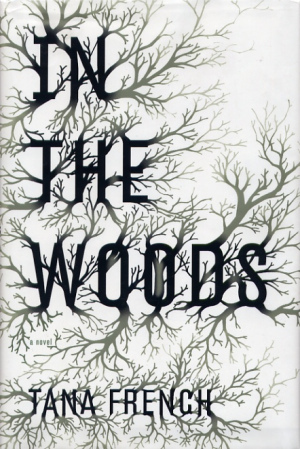 This entry was posted in Book review and tagged adultnovel, bookone, bookreview, crime, fiction, intothewoods, murder, review, TanaFrench, thelikeness on February 25, 2014 by Chloe. So, in my attempt at shaking up my reading list a little bit I purchased Crystal Gardens – A Ladies of Lantern Street Novel by Amanda Quick the first in the trilogy. 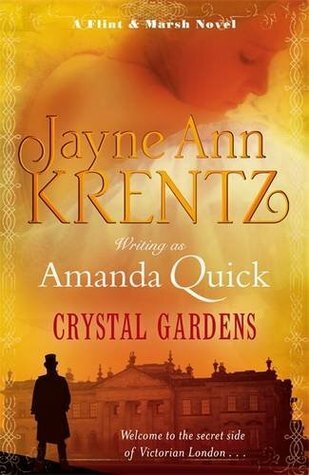 I had never read any Jayne- Ann Krentz novels before and was intrigued to learn she regularly writes under the pseudonyms Amanda Quick and Jane Castle depending on the genre of her writing, Crystal Gardens is paranormal fiction and my first real taste of the genre. I am a regular reader of fantasy novels and thought this would be an easy transition. Crystal Gardens is set in Victorian England; the main character of the novel is Evangeline Ames a paid companion, with ‘special talents’. Evangeline is a young woman past the age of marriage for her time with no other way to support herself finical she joins the companion agency who, it turns out only take on woman with special physic ‘gifts’ with these gifts the agency goes about solving cases for its clients, mostly regarding extra marital affairs. Evangeline is paid well, a lot higher than the usual companion rate as are all the girls because the risks they take, It is during one of these cases that a threat is made on Evangeline’s life and is she and her friends decide it is a good idea for her to get away for a while to the small town of Little Dixby. While there another attempt is made on Evangeline’s life and, in an attempt to escape Evangeline runs to the nearest and largest and coincidentally the most supernatural house in the area Crystal Gardens. She is saved by the mysterious Lucas Sebastian who immediately takes an interest in her, and her abilities, of course Lucas and Crystal Gardens have their own secrets which Evangeline is just dying to discover. All in all Crystal Gardens is all right, it was a very easy ready but personally I didn’t think the paranormal side to the book was done particularly well. The romance between Lucas Sebastian and Evangeline Ames was the only thing that I really liked about the book; I guess I found it all a bit predictable. This was the first Jayne- Ann Krentz novel I have ever read and, I have read reviews from long-time fans saying her other books are much better than Crystal Gardens so I haven’t been put off I’m all for second chances but I won’t be buying the rest of the trilogy any time soon! This entry was posted in Book review and tagged adultnovel, AmandaQuick, book, bookblog, bookblogger, bookreview, JayneAnnKrentz, review, trilogy on February 25, 2014 by Chloe.